Vector Informatik is introducing PREEvision 9.0 – the next release of the software tool for developing distributed systems in the automotive industry and related areas. 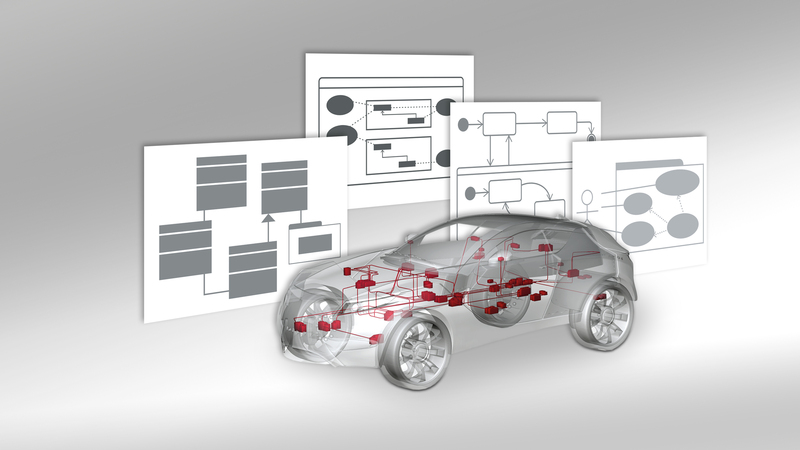 The model-based development environment is fully equipped for AUTOSAR Adaptive and offers extended SysML and UML functions to model service-oriented architectures. PREEvision 9.0 with additional SysML and UML diagrams for modeling service-oriented architectures. PREEvision 9.0 now enables developers to model their E/E systems based on AUTOSAR Adaptive Platform. Whether engineers are designing service interfaces and applications, instantiating services or describing Ethernet communication via SOME/IP – this latest version provides comprehensive functions for these tasks. Data exchange is simplified by import and export functions for the Adaptive System Description and other work products of AUTOSAR for the new generation of high-performance Electronic Control Units. PREEvision 9.0 offers additional SysML and UML diagrams as modeling tools for functions, including those that will be deployed in service-oriented architectures. Designers can use the class diagram, for example, to model interfaces and data types. The state chart diagram graphically depicts a system’s mode of operation. The two new diagrams supplement block, package and use case diagrams which have been included in previous PREEvision releases. In addition to AUTOSAR Adaptive Platform, PREEvision 9.0 supports the AUTOSAR Classic Platform version 4.3 and its concepts for Ethernet communications, V2X and centralized server architectures. PREEvision thereby allows stepwise migration of functions from AUTOSAR Classic Platform to the AUTOSAR Adaptive Platform, as well as the complementary use of AUTOSAR Classic Platform and AUTOSAR Adaptive Platform in hybrid-architectures. Moreover, PREEvision 9.0 adds other new features such as variant management according to AUTOSAR, a REST-API to represent model data in web clients, and improved process support. Users can now review requirements and other model artifacts directly in PREEvision, and discuss and vote for them there. PREEvision is the tool for model-based electric/electronic development – from architectural design to series production. The software supports architects, network designers, development engineers and test engineers over the entire development process. In addition, PREEvision offers comprehensive functions for signal-based and service-oriented architecture development and for requirements management, communication design, design of safety-related systems, AUTOSAR system and software design and wiring harness development.